Talk about flexible! 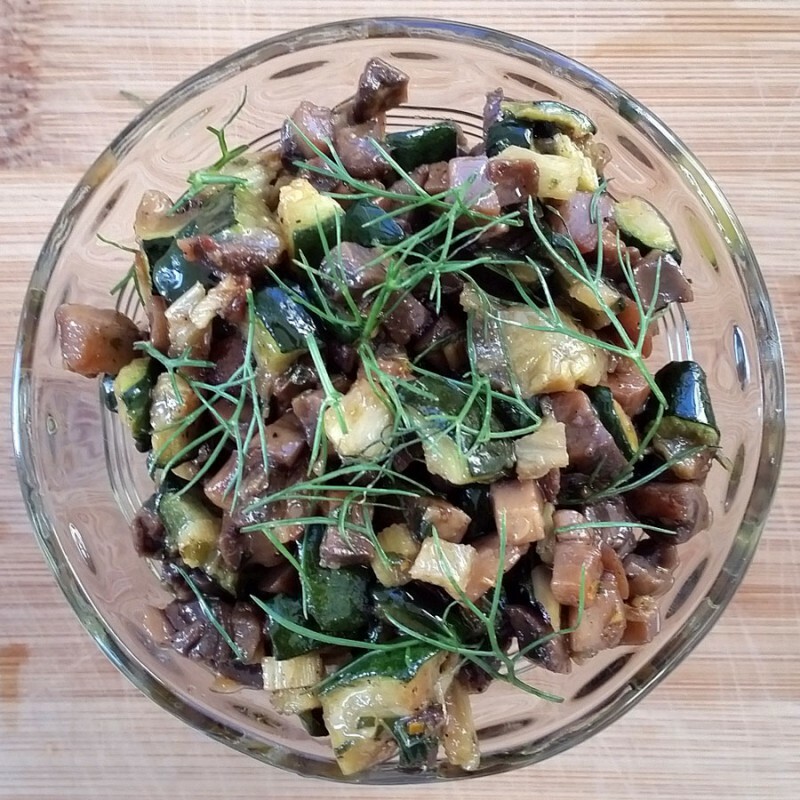 This mushroom, zucchini and fennel dish can be served as a salsa, bruschetta or cecina topping, quesadilla filling or a side dish. Sprinkle garlic lightly with salt and allow to sit for ten minutes. Dab it lightly with a paper towel to remove some of the moisture. Heat olive oil in a medium skillet, over medium heat. Fry garlic for 1 minutes and remove it with a slotted spoon. Add fennel, mushrooms and zucchini to the pan and season with salt and freshly ground black pepper and cook until the vegetables are cooked about 5-7 minutes. Add the garlic and balsamic vinegar and continue to cook until it’s absorbed. Remove heat and add the pesto and scallions. Season to taste and garnish with fennel fronds.